Gardeners cannot always be faulted for not understanding who their insect friends are. Entomologists have done a relatively poor job of advising the public on what garden insects are pests, and which are beneficial. It is especially problematic when you consider metamorphosis. 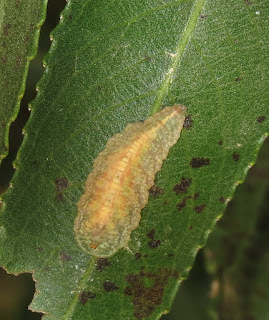 You do not always know which larva corresponds to which adult, and whether both life stages are helpful or harmful. Case in point, larvae of flower flies (family Syrphidae), also known as "hover flies." 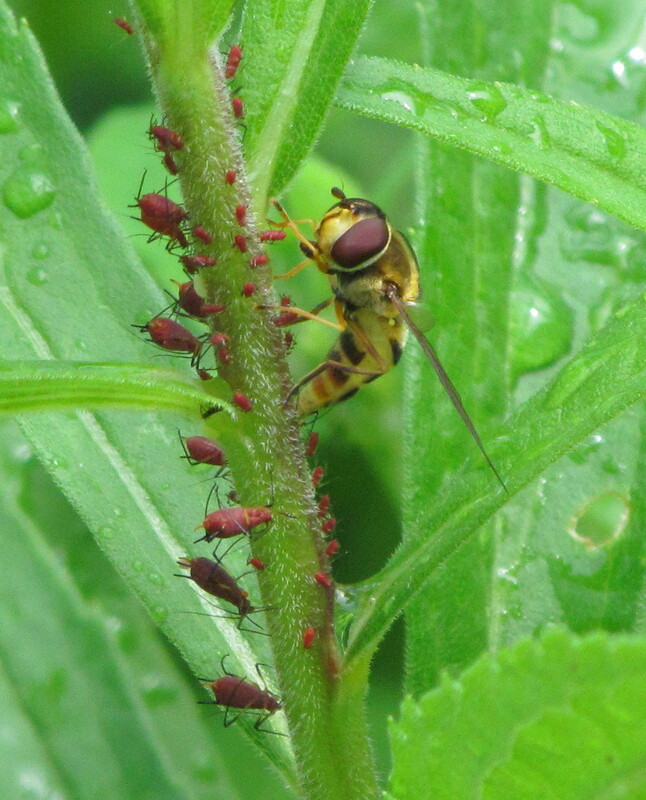 The overwhelming majority of flower flies in the subfamily Syrphinae are aphid predators in their larval stages. What you might easily mistake for just another flower- or foliage-munching caterpillar on your rosebush is probably one of these allies in your war on pests. Female syrphid flies lay eggs in or near aphid colonies. 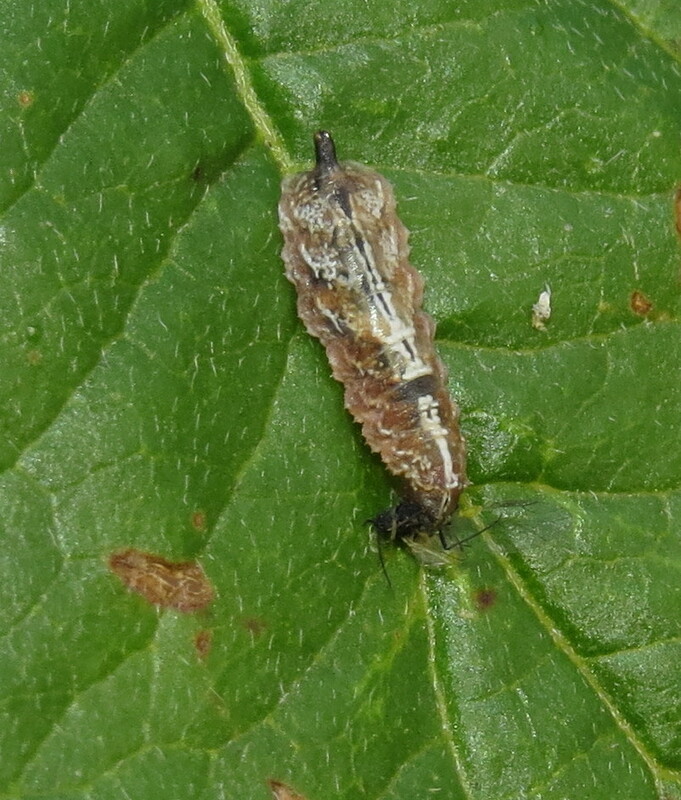 The tiny larvae that hatch feed and grow, with three instars before pupation. 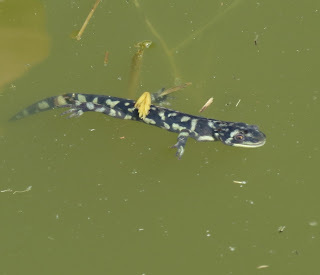 An instar is the interval between molts. 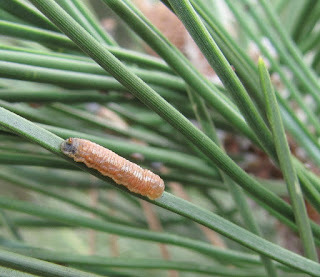 Despite its elastic appearance, the larva still has an exoskeleton that must be shed in order for the insect to grow larger. 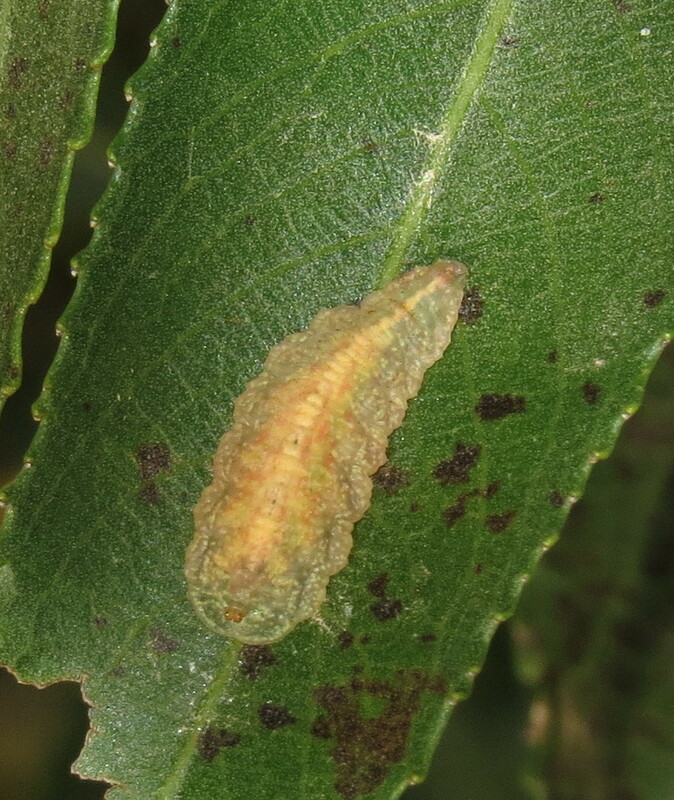 The final molt results in the pupa stage, a convex pear-shaped lump attached to a leaf, stem, or other substrate. The adult fly eventually emerges from the capsule-like pupa. 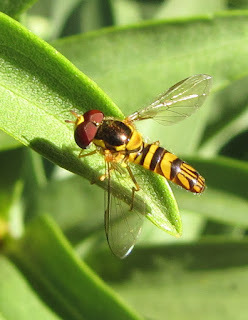 Most adult syrphids strongly resemble wasps or bees, to the degree that they frequently fool entomologists. Like their hymenopteran models, the flies are capable pollinators of various flowers, visiting blossoms for nectar and picking up pollen in the process. Flower flies can be recognized by their hovering behavior (few bees are capable of hovering, oddly enough), enormous eyes that meet at the top of the head in males, and nearly meet in females, and only one pair of wings to a bee's two pairs. 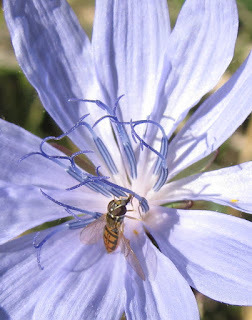 Flower flies also have very short antennae in most cases, whereas bees and wasps have longer, thicker antennae, often "elbowed" where the first, long segment is connected to the remaining shorter segments. Lastly, while bees and wasps have chewing mandibles and sometimes a tongue-like arrangement of other mouthparts, flower flies have an extendable...."arm" tipped with a sponge-like pad. This organ is retracted under the fly's "chin" when not in use. 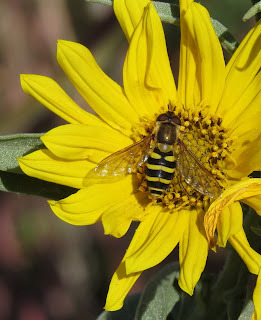 Adult Eupeodes or Syrphus sp. Syrphid flies are among the most abundant of garden insects, especially conspicuous in spring and fall when aphid populations are at their peak. Watch for them and be careful not to accidentally kill their larvae when you are contemplating taking aphid control into your own hands. Between syrphid larvae, lady beetle larvae, and lacewing larvae, you may not have to do anything to keep aphids from reaching destructive numbers. Sources: There are several excellent online resources about syrphids. Rotheray, Graham E. 1993. 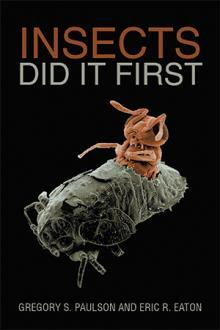 "Colour Guide to Hoverfly Larvae in Britain and Europe," Dipterists Digest. No. 9. Sheffield, England: Derek Whitely and the Royal Museum of Scotland. 160 pp. University of California Integrated Pest Management website on syrphids. Everyone has their own icon for a harbinger of fall, but mine has to be the assassin bugs in the genus Acholla (Gesundheit!). 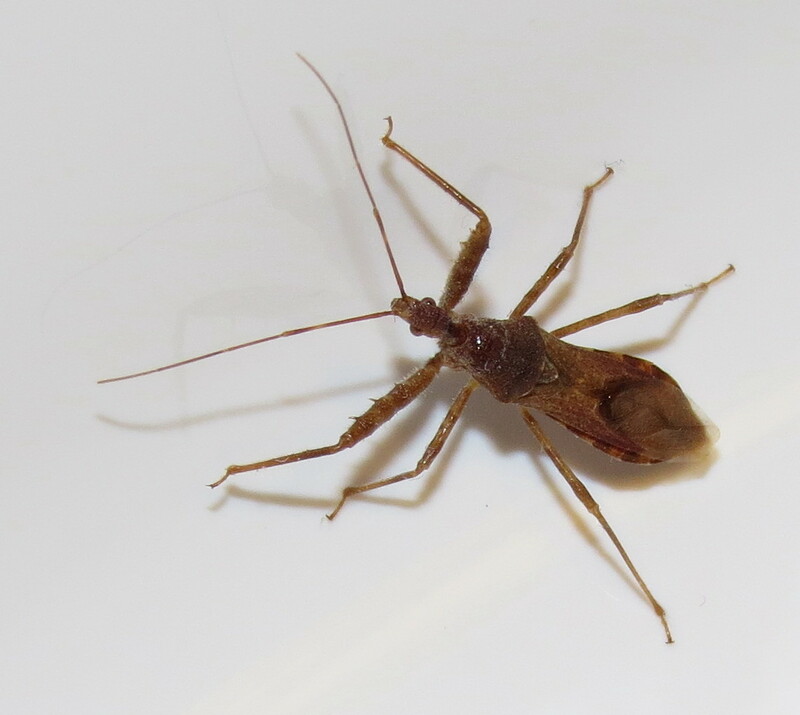 Adult specimens can actually be found regularly beginning in July, at least in some localities, but are most obvious in autumn, perhaps because foliage is falling and prey insect populations are beginning to decline. I first encountered these assassins in Massachusetts in 2009. I found one climbing on a signpost at the Mount Sugarloaf State Reserve in South Deerfield on November 1. Acholla multispinosa is our most widespread species, the only one found in eastern North America from New England south along the Appalachia Mountains to Tennessee and North Carolina, west through the Great Lakes, to Kansas, Nebraska, and southeast Iowa. Here in Colorado, our common species is A. ampliata, which also occurs in California, Utah, Arizona, and New Mexico. Last year I found one on September 2, and another on September 8, both apparently males. 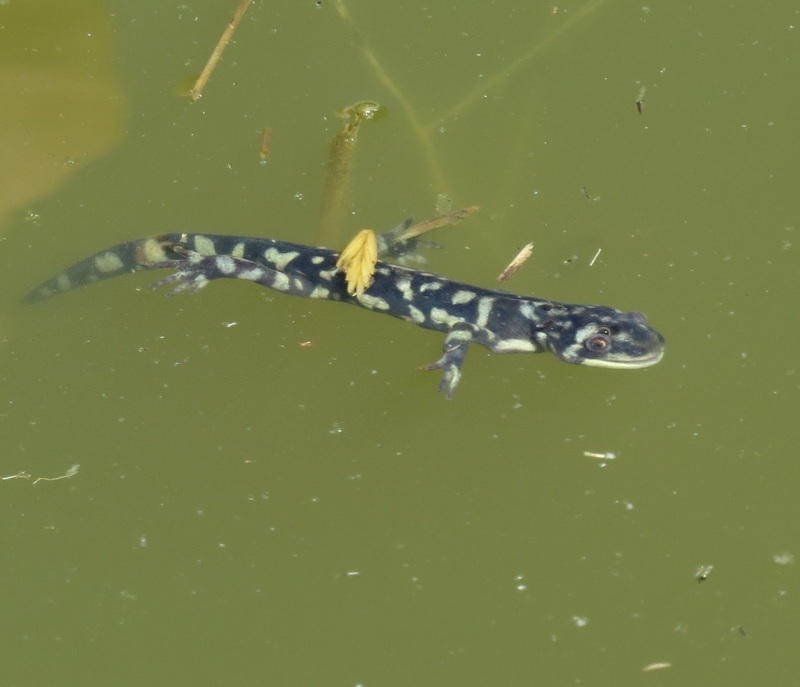 I found what I assume to be a gravid female just last Friday, October 23, 2015. 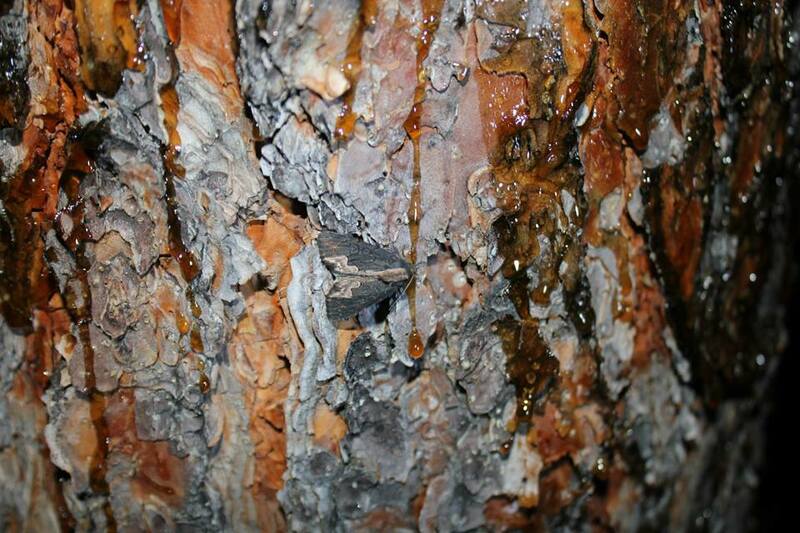 All the specimens were found beneath a large cottonwood tree in our reasonably urban, residential neighborhood. The bugs had apparently fallen out of the tree and were on a tall, plastic utility box beneath it. 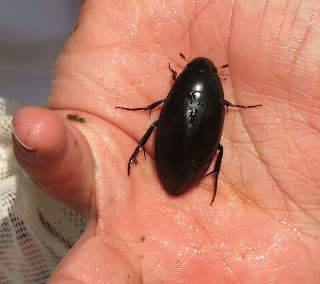 Acholla is easily mistaken for the more common Sinea species, but lacks the "thorny" appearance of that genus, and has no prominent spines on the inner surface of the tibia ("shin" segment) on the front leg. Acholla average slightly larger, too, ranging from 12-16 millimeters in body length compared to 12-14 for Sinea. There is a third species of Acholla, A. tabida, found in California and Mexico. 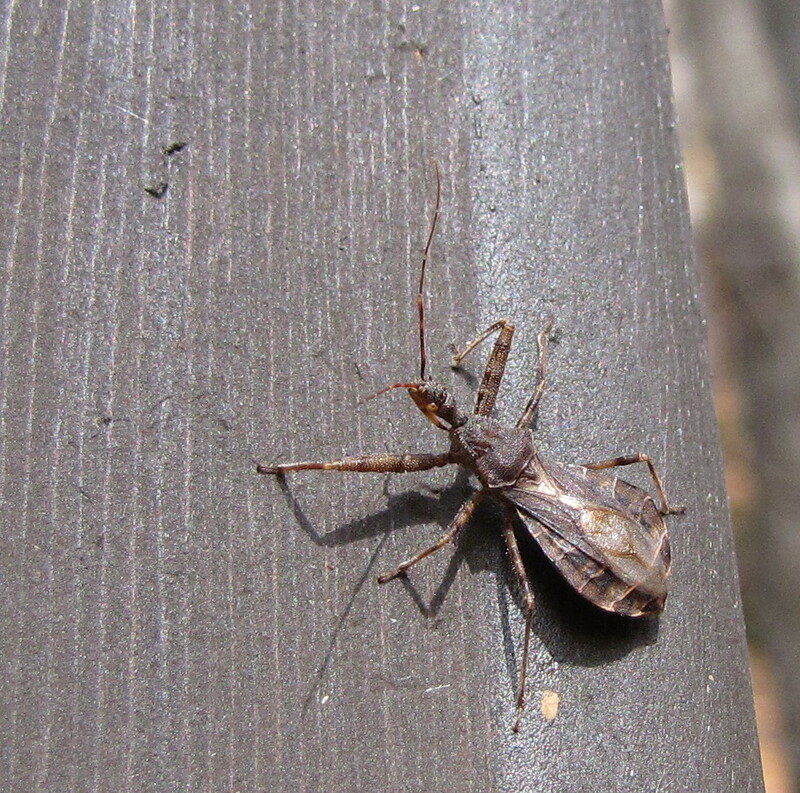 What do these assassin bugs feed on? 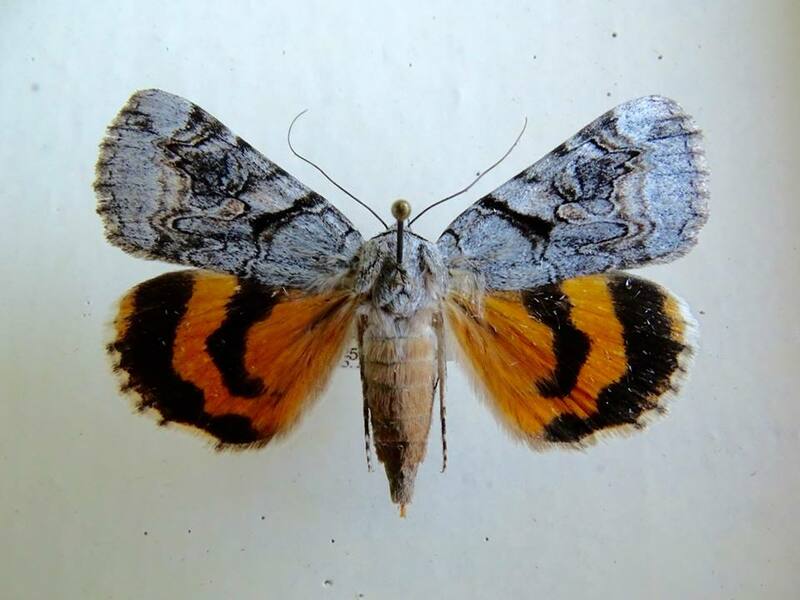 According to one reference, A. multispinosa is an enemy of the Pine Webworm, Pococera robustella, a caterpillar in the moth family Pyralidae. 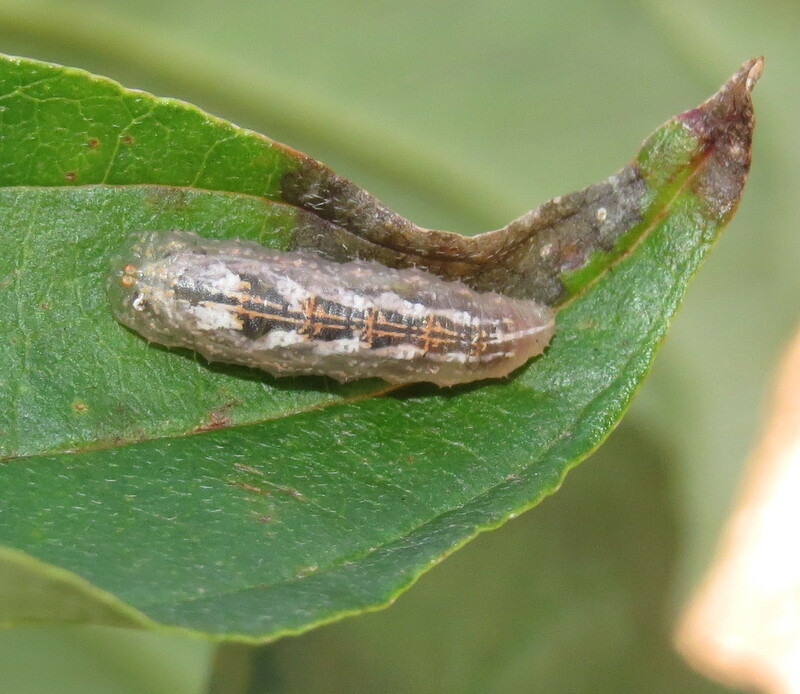 Another source reports the bug to prey on caterpillars of the Codling Moth, Cydia pomonella, family Tortricidae (the "worm" in the apple). Acholla in general are mostly arboreal (tree-dwelling) and thus feed upon insects associated with trees. 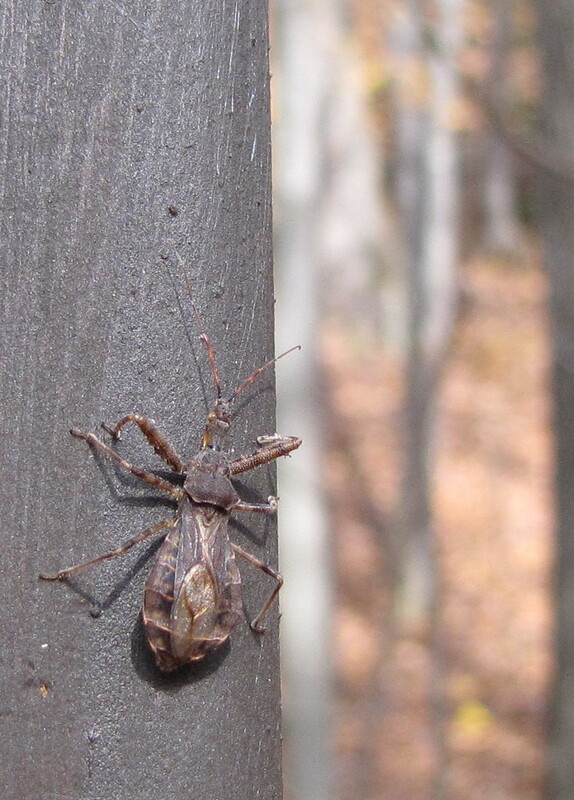 Indeed, woodlands and orchards seem to be this insect's primary haunts. Acholla overwinters in the egg stage. The eggs are adhered to a substrate with, and protected by, a hardened secretion from the female's subrectal glands. 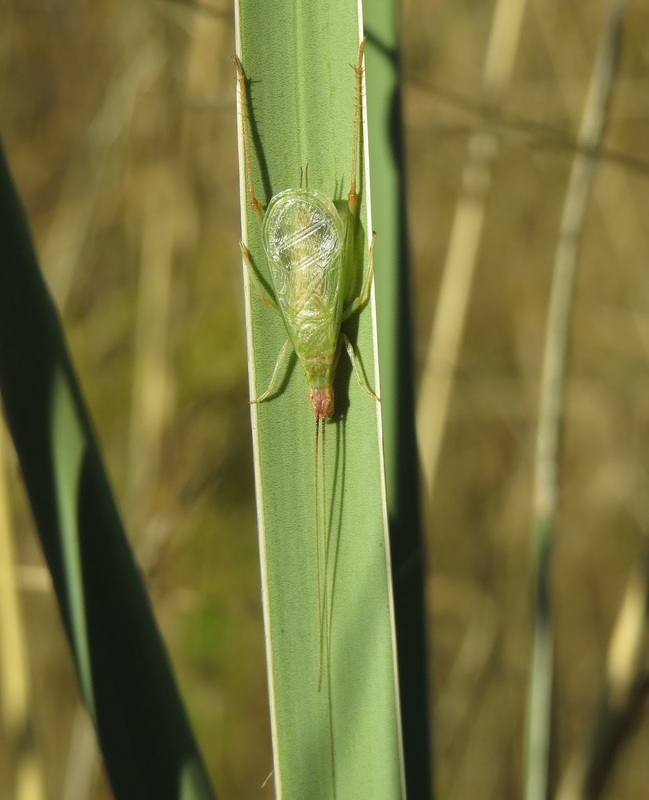 This material probably insulates the eggs from weather and dessication, but may also repel potential egg predators. Diligent searching has failed to turn up any further information on the life history of Acholla. More appears to be known about its chromosomes, ironically enough. So, before you put away your field gear for the winter, take one last look for these autumn assassins. 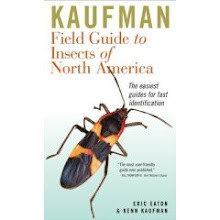 You might easily add to our knowledge of their geographic distribution and natural history. Sources: Drooz, Arnold T. 1985. 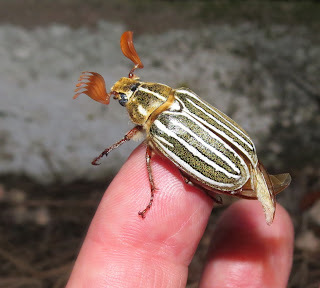 Insects of Eastern Forests. Washington, DC: U.S. Department of Agriculture Forest Service, Miscellaneous Publication No. 1426. 608 pp. 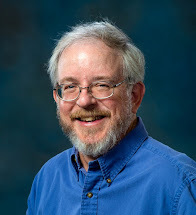 Hoffman, Richard L. 2006. "Assassin Bugs of Virginia," The Insects of Virginia. No. 15. Martinsville: Virginia Museum of Natural History. 74 pp. Swanson, D.R. 2011. "New State Records and Distributional Notes for Some Assassin Bugs of the Continental United States (Heteroptera: Reduviidae)," Great Lakes Entomologist 44(3-4): 117-138. There is currently a video of a giant moth that has gone viral, with a complement of completely incorrect identifications. This blog post will help sort fact from fiction and address the problems that stem from "oversharing" of such posts. Here is the video, which elicits the full spectrum of human reactions from horror to beauty to fascination. A truly horrible – and GIANT – moth. 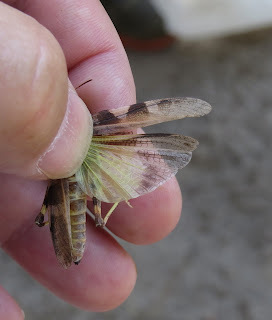 At first glance, the creature strongly resembles a sphinx moth. Indeed, given the location of Australia, many have identified it as the Privet Hawk Moth, Psilogramma menephron. 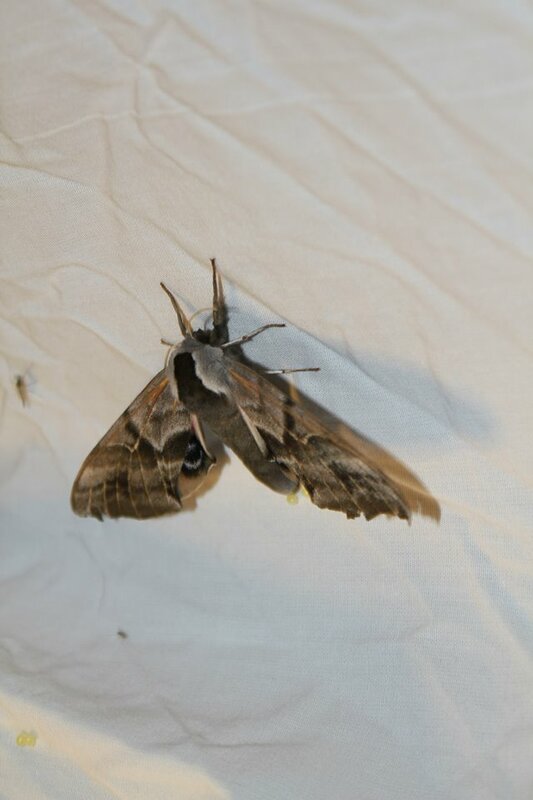 The moth in the video is even larger, though, and the head and legs look a bit different. It took a little bit of "Googling" myself to find the real answer. Turns out this is a "Giant Wood Moth," Endoxyla cinereus. 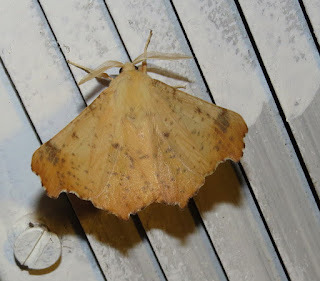 Most people are not familiar with the carpenter moths of the family Cossidae, to which this herculean lepidopteran belongs, so it is no surprise that the moth in the video has been repeatedly misidentified. 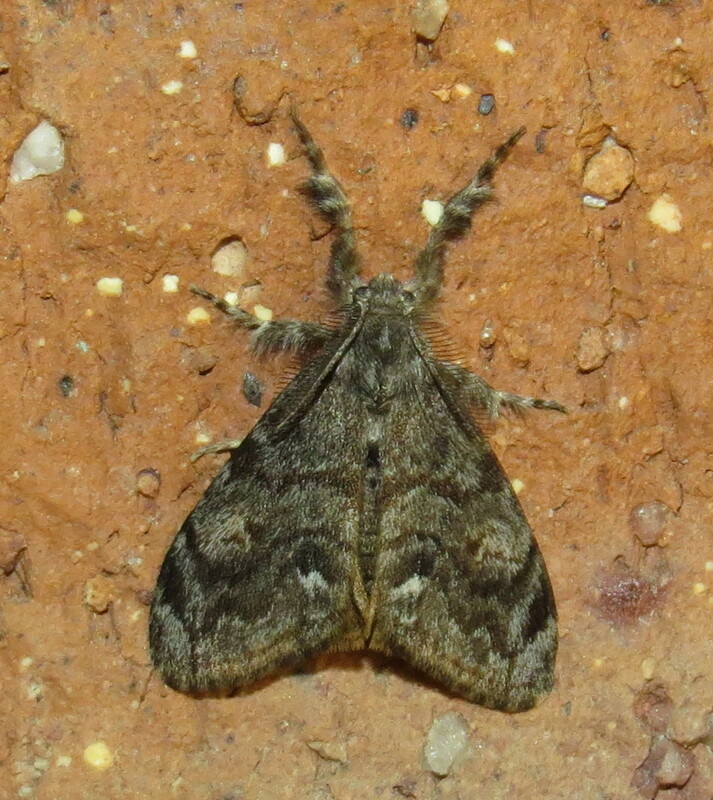 This moth was formerly known as Xyleutes cinereus, which might add to the confusion. The caterpillars are grubs that bore in solid wood of eucalyptus trees. The adult female moth can have a wingspan of up to 23 centimeters; and it is the world's heaviest moth, weighing in at up to 30 grams. Videos tend to command our attention, and we often forget to read the introductory material to learn where the subject was recorded, and other relevant information. Sometimes, the person posting the video fails to include those important details, too. Consequently, viewers may post comments that are not applicable. Before you know it, not only is the video going viral, but so is all the misinformation. The speed with which erroneous "facts" are broadcast, often unwittingly, is at an all-time high thanks to the internet, so it is up to us as scientists and journalists to do the best we can to correct them, as quickly as we can. I urge you to use your own blogs, Facebook posts, Twitter, and other social media to do just that. Better late than never, allow me to share with you the experiences we had here in Colorado during National Moth Week, July 18-25. I participated in three events here along the Front Range, and all of them exceeded expectations in terms of public participation and excitement over the insects we encountered. 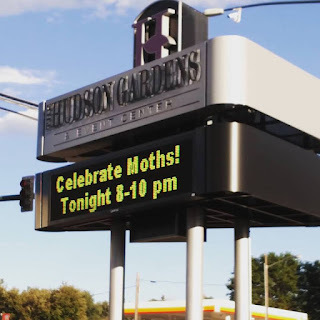 While I approached two of these venues about doing Moth Week events, Bell Mead of the Mile High Bug Club carried out all the liaison and organizational work. 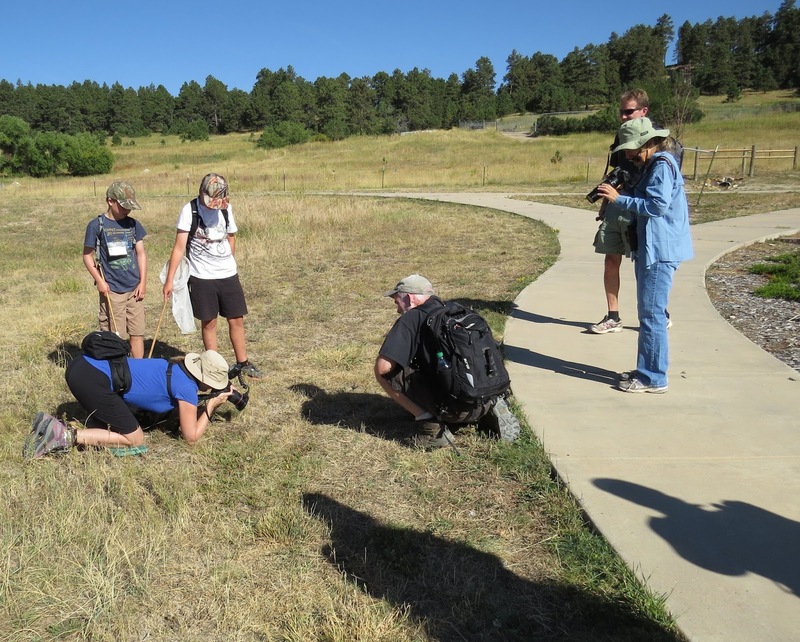 The first event was held at Cheyenne Mountain State Park, located just south of Colorado Springs, on July 18. Park staff arranged for us to set up at the camper services building, hoping to draw campers in the park, but there was enough publicity that people came from elsewhere, too (like "moths to a flame?"). One family even supplied their own lights and sheet. It turns out one of their children raises moths, and dad had to secure interstate permits to legalize the rearing of species not found in Colorado. The landscape surrounding the building is mostly grassland, with Gambel's Oak thickets and scattered mixed conifers. This diversity in flora produced a corresponding diversity of moths. Among the more spectacular specimens were a female sphinx moth, Smerinthus ophthalmica, which began laying eggs right on one of the sheets. 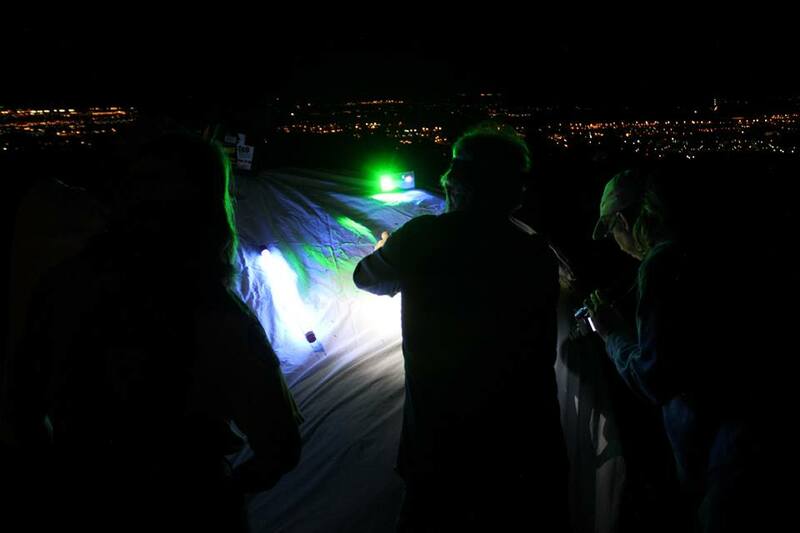 The public portion of this event ended around ten PM, but the Mile High Bug Club folks held an "after party," visiting illuminated outposts such as restrooms, self-pay kiosks, and the visitor center. Moths may be a "gateway drug" to a fascination with other nocturnal arthropods, and indeed we found many interesting beetles, true bugs, scorpions, a large centipede, and two "camel spiders" (non-venomous arachnids in the order Solifugae). The second event was held Wednesday, July 22 at Hudson Gardens & Event Center in Littleton, Colorado, just outside Denver. Amanda Accamando, the Education and Volunteer Manager there, provided many supplies, creative publicity, and volunteer support. It paid off. We had thirty (30) attendees. 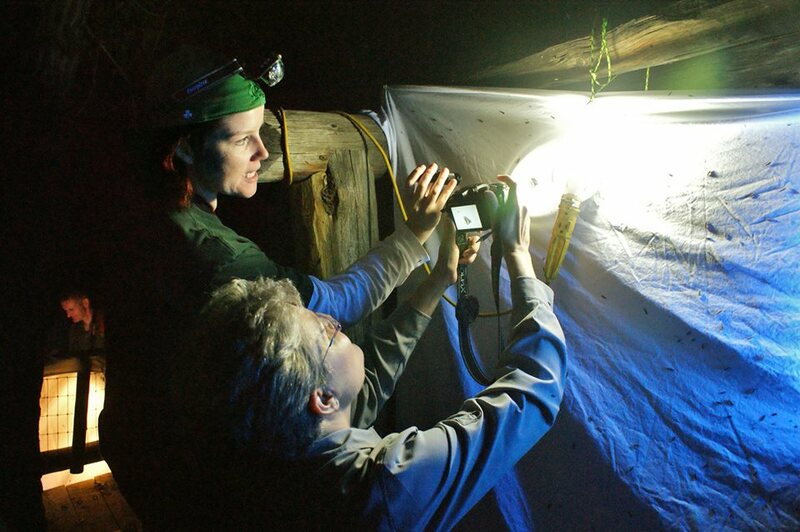 We chose the "Hobbit Hole" as our station, located beside a long pond that we assumed would be a natural flyway for moths. Unfortunately, we were overwhelmed by caddisflies instead. The few moths that did make it to our sheets were interesting species, though, and no one felt the least bit disappointed given the myriad other insects that flew in. 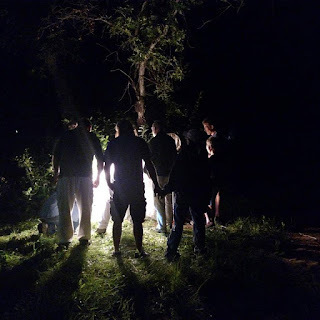 Our finale was a repeat of a private event the Mile High Bug Club held last year in Rock Creek Canyon, southwest of Cheyenne Mountain State Park. Our co-sponsor was the May Natural History Museum, which boasts the world's largest, publicly-accessible private collection of insects and other arthropods. The Golden Eagle Campground and RV Park is also here, affording even more lit-up facilities after dark. 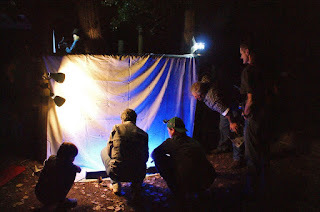 We were thrilled to have moth guru Sam Johnson on hand to set up his own stations, and help us paint bait on trees. 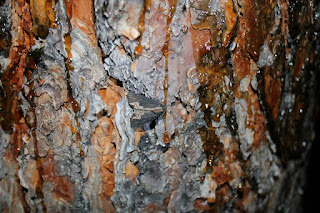 "Sugaring" for moths consists of slathering a thick mixture of fermenting fruit puree, stale beer or other alcoholic beverages, and brown sugar onto tree trunks. 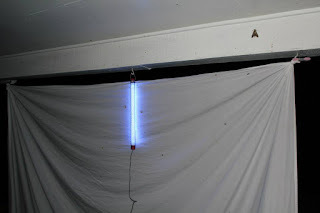 Many moths that don't come to lights will come to bait. Glowsticks attached to the trees helped us locate the bait stations after dark. 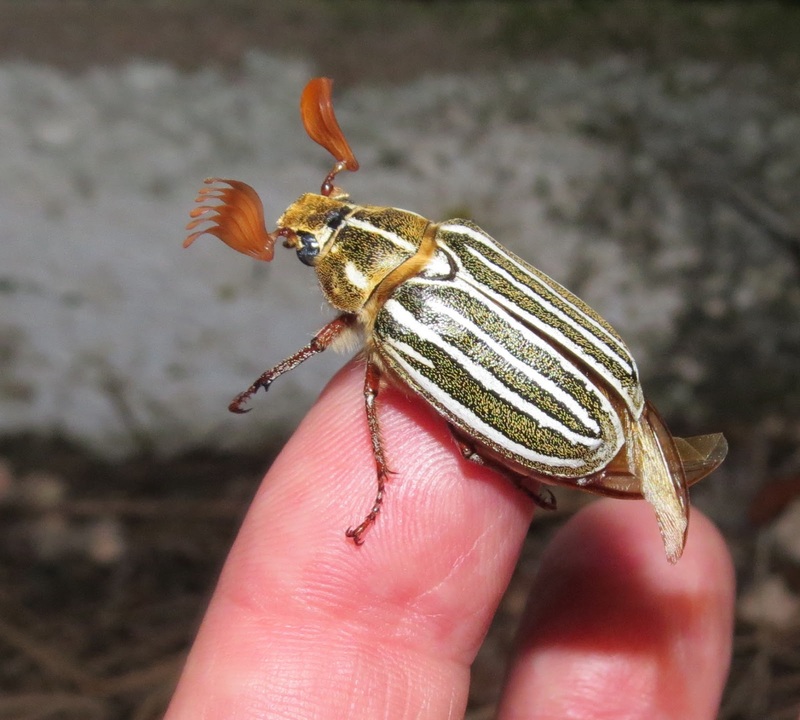 No sooner had the sun gone down on this pine-and-oak forest habitat than in came the moths, plus Ten-lined June Beetles (Polyphylla decimlineata), enormous root borers (Prionus californicus longhorned beetes), and many other insects. Here's a video of part of the fun. 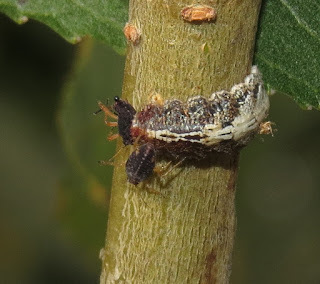 This year, the area experienced an outbreak of the Douglas-fir Tussock Moth, Orgyia pseudotsugata, but most were in the cocoon stage, so we weren't inundated. A few males showed up at the lights, but females are wingless and call males to them from their cocoons. 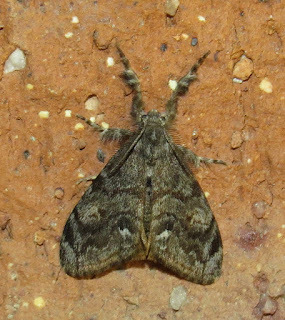 The bait was effective, and drew at least one species of underwing moth, Catocala amestris, that Sam identified as being a new record for southern Colorado. Last year, Same collected Catocala delilah, another unusual species for the region at this same location. We were so excited by the success of these three events that we held another one, this time at Bell's home near Garden of the Gods Park in Colorado Springs, on August 15. Despite thunderstorms raging around the city, her neighborhood remained mostly rain-free. We even took a stroll up to the American Mothers Chapel at the edge of Rock Ledge Range, to see what came to the lights on that little white building. 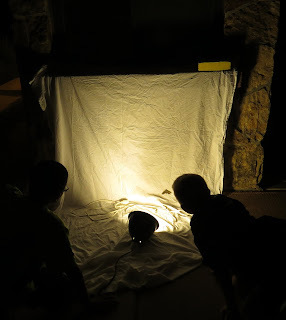 We saw several familiar moth species, but plenty of new ones, too, given the later date. I want to again thank Bell Mead for coordinating with personnel at all the event locations, securing lights and other equipment, and generally organizing everything. Additional thanks to Brian Kelly and Rick Baker of Mile High Bug Club for their assistance, too, and my wife Heidi for enjoying the same odd recreational experiences that I do. 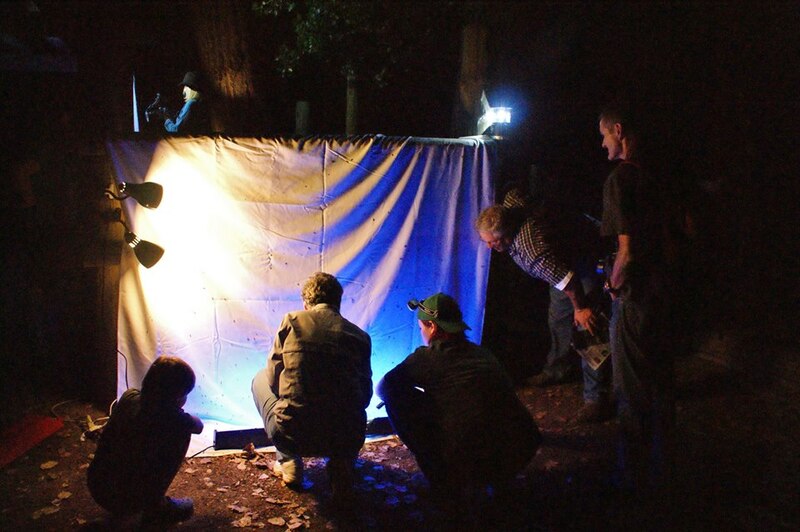 We're already looking forward to National Moth Week, 2016, but we probably won't wait until July to start "mothing." After all, the IO Moth and other big, exciting moths emerge earlier than that. 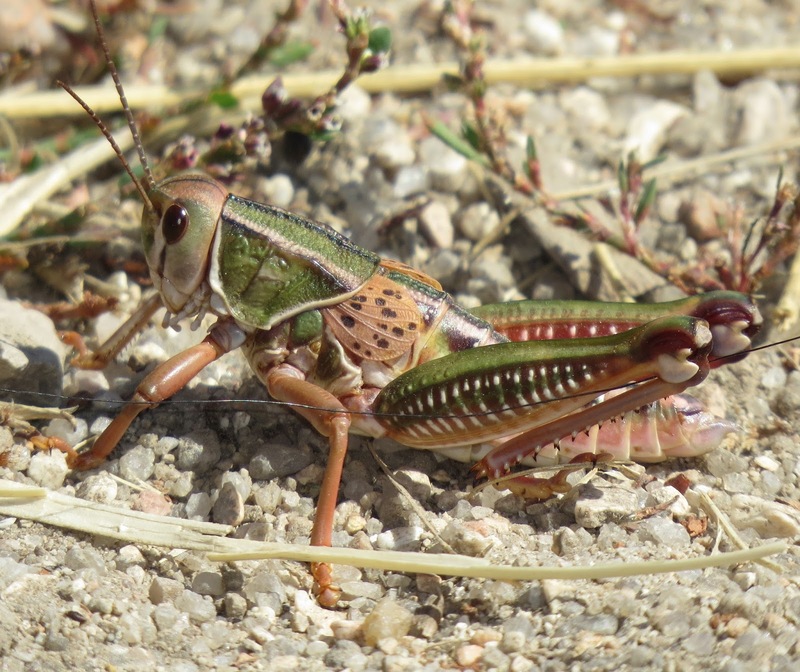 Tree crickets, genus Oecanthus, are having quite the year here along the Colorado Front Range. 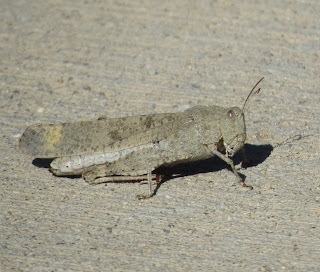 Last month I went to Garden of the Gods park in Colorado Springs and could hardly go twenty feet without hearing a male tree cricket singing in the tall weeds or from a yucca blade. I even managed to capture videos of their singing and courtship. There are five species of tree crickets in Colorado: the Prairie Tree Cricket, Oecanthus argentinus, Western Tree Cricket, O. californicus, Snowy Tree Cricket, O. fultoni, Black-horned Tree Cricket, O. nigricornis, and the Four-spotted Tree Cricket, O. quadripunctatus. Determining the species of a given individual is difficult to say the least because identification frequently hinges on the markings present (or absent) on the first two segments at the base of the antenna. I know! 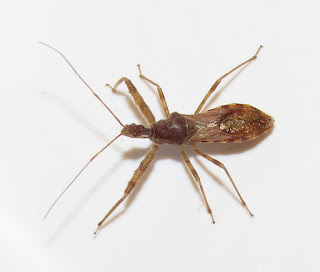 The whole insect is only about twenty millimeters maximum. It is much easier to tell which gender is which. 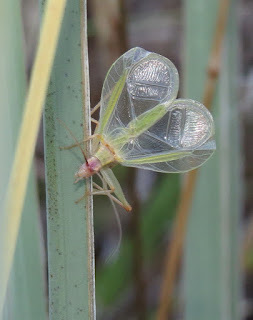 Females are very slender, with the front pair of wings hugging the body tightly. 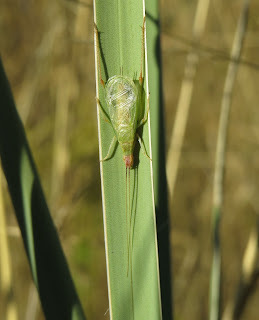 The short, stout ovipositor, used to insert eggs into berry canes and other plant stems, is easily visible. 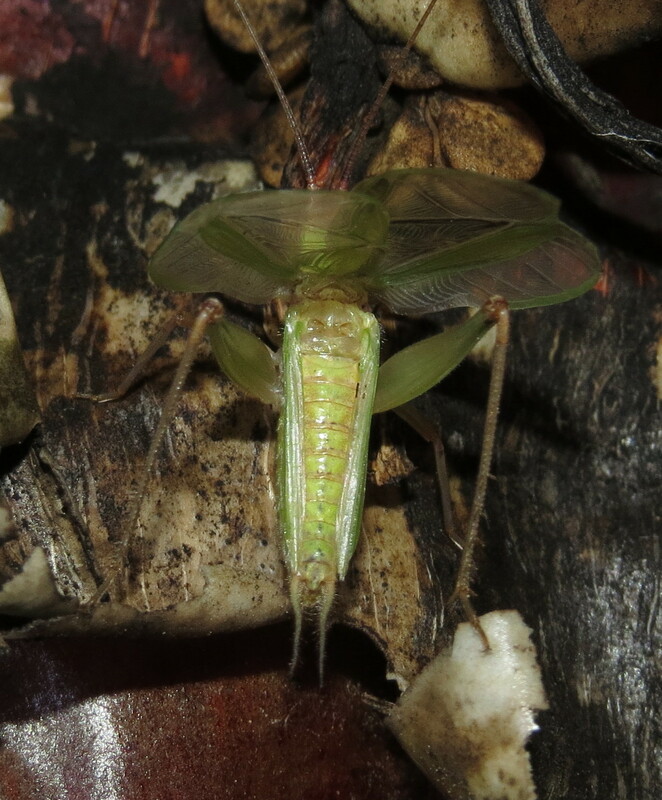 Males on the other hand have the front wings greatly expanded into paddle-shaped musical instruments that make them look more like green lacewings than crickets. The intricate pattern of veins is all about lending support to the membrane that generates, amplifies, and projects the male's song. He lifts his wings into a heart shape at a 90-degree angle to his body in order to sing. The song is produced when a "scraper" on one wing is drawn across a "file" on the other wing, near where the wings join the thorax. The rapidity with which this happens cannot be captured by ordinary video cameras. 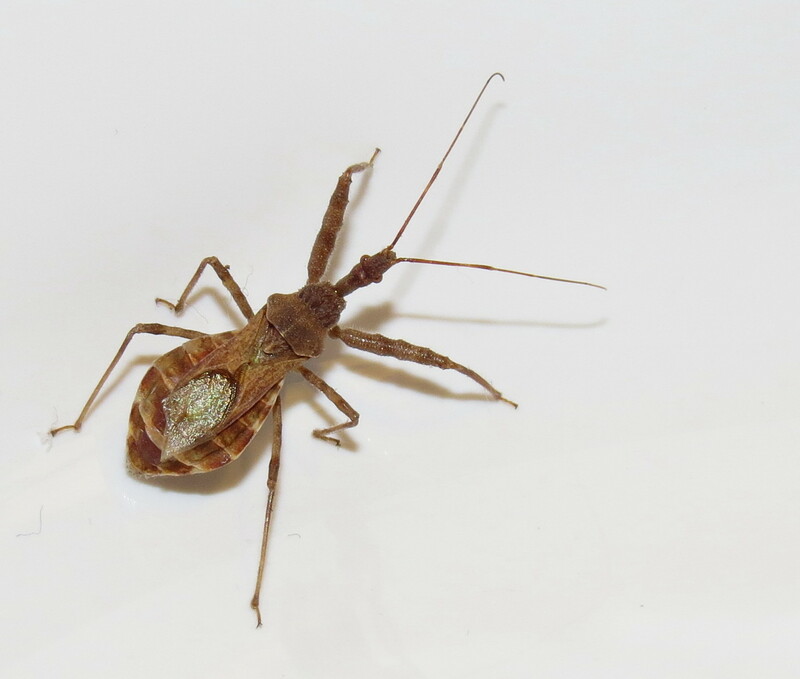 Some male tree crickets align their wings with gaps in foliage, or even chew holes in leaves, to reduce acoustic interference and further intensify their call. Like most crickets and other members of the order Orthoptera (grasshoppers, katydids, crickets), males have more than one kind of song. Once a male successfully lures a female, he switches to a softer song to help her orient to him. His raised front wings also expose a metanotal gland in the center of his thorax, which secretes a substance that the female feeds on. This is something of a distraction so that he can transfer a spermatophore, or "sperm packet" to her genital opening. 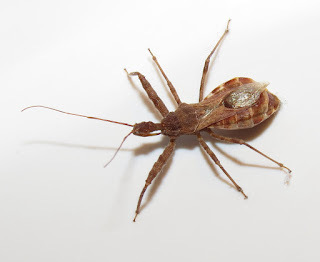 The packet appears as a small, pearly blob near the tip of her abdomen in the video and images below. The spermatophore takes time to drain sperm into her oviduct, and the female would undoubtedly eat it if she did not have the more attractive metanotal secretion to lick instead. She is sufficiently addicted that she feeds for several minutes after mating. 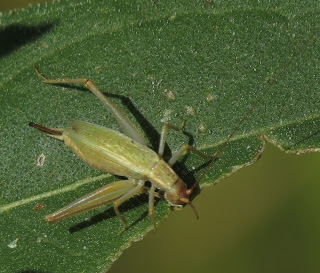 Tree crickets are omnivores, feeding on plants and small insects like aphids. Some species are truly arboreal, living in shrubs or high in trees, but a surprising diversity can be found in grassy fields, meadows, and similar habitats. There are many wonderful online resources to help you appreciate and identify tree crickets. 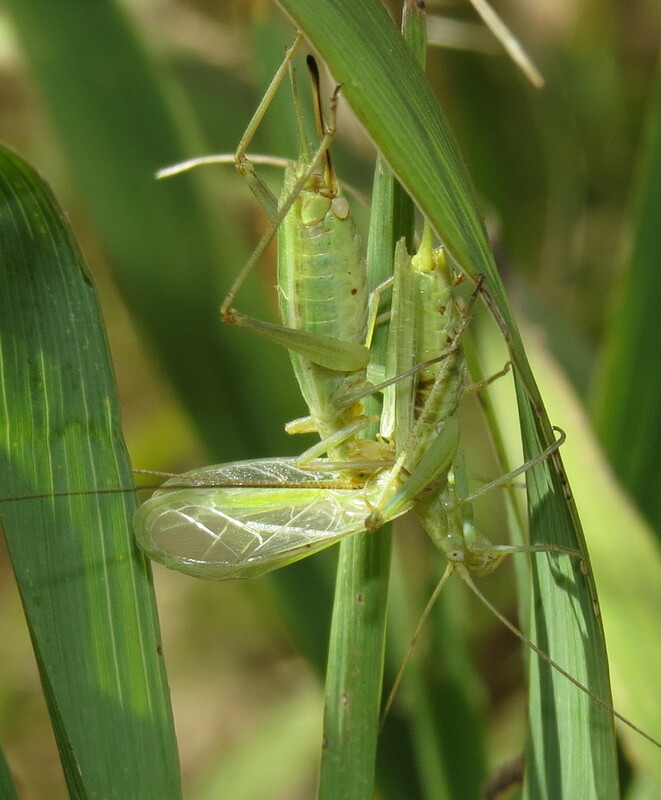 One of the best is Singing Insects of North America, which covers grasshoppers, katydids, and cicadas along with crickets. Oecanthinae.com was created by Nancy Collins, a citizen scientist who has become a leading authority on tree crickets, even discovering a species new to science. Lisa Rainsong writes and illustrates the blog "Listening in Nature," which covers all kinds of acoustic phenomenon in the outdoors. Enjoy listening to, and looking for, tree crickets in your own neighborhood. Finding them is a challenge, but your patience will be rewarded. Above all, have fun. Sources: Collins, Nancy. 2014. All About Tree Crickets. Parker, Colorado: Outskirts Press. 48 pp. Dethier, Vincent G. 1992. 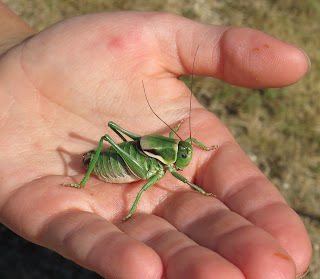 Crickets and Katydids, Concerts and Solos. Cambridge, Massachusetts: Harvard University Press. 140 pp. Elliott, Lang and Wil Hershberger. 2007. The Songs of Insects. Boston: Houghton Mifflin Company. 228 pp.